Italian Food Safari is the much-awaited feast in the beautiful Food Safari series… a celebration of the incredible breadth and hard work of the Italians who came and settled in Australia over a generation ago and have kept their food traditions intact. Presented by food explorer Maeve O’Meara and legendary Melbourne chef Guy Grossi (of the restaurants Grossi Florentino and Mirka at Tolarno), Italian Food Safari spends time with Australia’s top Italian chefs and producers. In fact, the whole 13-part series is a culinary Who’s Who of Italian Australia. Ever since Italians migrated to Australia and introduced Austrialians to spaghetti alla bolognese and pizza, they have embraced this wonderful, satisfying cuisine. Spaghetti alla Bolognese is now so popular that it could almost be classed as an adopted national dish. Italians were among the first to show Australia how to appreciate good coffee, use olive oil and understand the joy of fresh pasta. Shot across Australia and covering the four seasons, Italian Food Safari introduces you to the concrete backyards full of abundant tomato and basil plants, the cozy home kitchens where masterpieces are whipped up, the elegant restaurants filled with delicious cooking aromas, the specialist providores and extensive delis, bakeries, cheese-makers and pasticcerias. The series celebrates traditions handed down through the centuries, some of which are practised more fervently in Australia than back home in Italy where tomato sauces, sausage making, olive curing, cheese-making and other time-honored recipes can still vary from region to region, even village to village. Some of the world’s most celebrated Italian culinary masterpieces feature alongside beautiful rustic family favourites. Chefs and restaurateurs who share their wisdom and recipes include Armando Percuoco (Buon Riccordo), Lucio Galletto (Lucio’s), Stefano Manfredi (Bells at Killcare), Robert Castellani (Donovans), Stefano Di Pieri (Stefanos, Mildura), Maurizio Esposito (Esposito at Toofey’s), rising stars Nino Zoccali (Pendolino) and Eugenio Maiale (A Tavola), Giovanni Pilu (Pilu) Pietro Porcu (Da Noi), Vanessa Martin (Il Piave), Alessandro Pavoni (Ormeggio), Patrizia Simone (Simone’s Restaurant, Bright), Rosa Matto (Rosa Matto’s Cooking School), Adelaide, Rosa Mitchell (Journal Canteen). In addition, Guy Grossi shares some of his family’s most revered recipes for traditional favorites from the North to the South of Italy. Producers including Perth’s larger than life butcher Vince Garreffa, winemaker and olive oil blender Joe Grilli, legendary Melbourne baker Daniel Chirico, fishermen from much of the Australian coastline—from the crayfishermen on the Abrolhos Islands off the far Western Australian coast to rock fisherman off Sydney, vongole fishermen in South Australia to the last sardine fisherman off Fremantle. Along the way, Italian Food Safari celebrates all the extraordinary wealth of Italian culture—the pioneering families building their wood-fired ovens, growing much of their produce in the early days and keeping food at the centre of family life, a tradition we all treasure. Italy, officially the Italian Republic, is a unitary parliamentary republic in south-central Europe. It consists of the entirety of the Italian Peninsula, Sicily, Sardinia—the two largest islands in the Mediterranean Sea—and many other smaller islands. The independent states of San Marino and the Vatican City are enclaves within Italy. Rome, the capital of Italy, was for centuries the political centre of Western civilisation as the capital of the Roman Empire. After its decline, Italy endured numerous invasions by foreign peoples, from Germanic tribes such as the Lombards and Ostrogoths, to the Byzantines and later, the Normans, among others. Centuries later, Italy became the birthplace of the Renaissance, an immensely fruitful intellectual movement that would prove to be integral in shaping the subsequent course of European thought. Between the 17th to the 11th century BC Mycenaean Greeks established contacts with Italy in the 8th and 7th centuries BC Greek colonies were established all along the coast of Sicily and the southern part of the Italian Peninsula became known as Magna Graecia. Also the Phoenicians established colonies on the coasts of Sardinia and Sicily. Ancient Rome was at first a small agricultural community founded c. the 8th century BC, that grew over the course of the centuries into the colossal Roman Empire encompassing the whole Mediterranean Sea, in which Ancient Greek and Roman cultures merged into one civilization. This civilization was so influential that parts of it survive in modern law, administration, philosophy and arts, forming the ground that Western civilization is based upon. In a slow decline since the late 4th century AD, the empire finally broke into two parts in 395 AD: the Western Roman Empire and the Eastern Roman Empire. The western part, under the pressure of the Franks, the Vandals, the Huns, the Goths, the Normans and other populations from Eastern Europe, finally dissolved, leaving the Italian peninsula divided into small independent kingdoms and feuding city states for the next 1,300 years. The eastern part continued as sole heir to the Roman legacy. In the 6th century the Byzantine Emperor Justinian I reconquered Italy from the Ostrogoths. The invasion of a new wave of Germanic tribes, the Lombards late in the same century, reduced the Byzantine presence to the Exarchate of Ravenna and other lands in southern Italy. The Lombard reign of northern and central Italy was absorbed into the Frankish Empire by Charlemagne in the late 8th century. The Frankish kings also helped the Popes to establish a true state in central Italy, extending from Rome to Ravenna, although for most of the Middle Ages they effectively controlled only what is now Lazio. Until the 13th century, Italian politics was dominated by the relationship between the German Holy Roman Emperors and the popes, with most of the Italian states siding for one or another depending from momentary convenience. It was during this vacuum of authority that the region saw the rise of institutions such as the Signoria and the medieval commune. In the anarchic conditions that often prevailed in medieval Italian city-states, people looked to strong men to restore order and disarm the feuding elites. Despite the devastation of the numerous wars, Italy maintained, especially in the north, a relatively developed urban civilization, which later evolved into merchant Republics. These city-states had a dominant merchant class which nurtured academic and artistic advancement. Notable amongst them, in northern Italy, was Milan: in the 12th century it led the Lombard League in the defeat of the German emperor Frederick Barbarossa, which led to a process granting effective independence to most of northern and central Italian cities. The Italian Renaissance began the opening phase of the Renaissance, a period of great cultural change and achievement in Europe that spanned the period from the end of the 13th century to about 1600, marking the transition between Medieval and Early Modern Europe. Although the origins of a movement that was confined largely to the literate culture of intellectual endeavor and patronage can be traced to the earlier part of the 14th century, many aspects of Italian culture and society remained largely Medieval; the Renaissance did not come into full swing until the end of the century. Italian Renaissance painting exercised a dominant influence on subsequent European painting for centuries afterwards, with artists such as Giotto di Bondone, Masaccio, Piero della Francesca, Domenico Ghirlandaio, Perugino, Michelangelo, Raphael, Botticelli, Leonardo da Vinci, and Titian. The same is true for architecture, as practiced by Brunelleschi, Leone Alberti, Andrea Palladio, and Bramante. Their works include Florence Cathedral, St. Peter's Basilica in Rome, and the Tempio Malatestiano in Rimini (to name a only a few, not to mention many splended private residences). Famous renaissance epic authors include Luigi Pulci, Matteo Maria Boiardo, Ludovico Ariosto, Poliziano and the Platonist philosopher Marsilio Ficino. Finally, the Aldine Press, founded by the printer Aldo Manuzio, active in Venice, developed Italic type and the small, relatively portable and inexpensive printed book that could be carried in one's pocket, as well as being the first to publish editions of books in Ancient Greek. The Black Death repeatedly returned to haunt Italy throughout the 14th to 17th centuries. In the first half of the 17th century a plague claimed some 1.73 million victims, or about 14% of Italy’s population. During the Napoleonic Wars, the northern part of the country was invaded and reorganized as a new kingdom of Italy, that was a client state of the French Empire from 1796 to 1814, while the southern half of the peninsula was administered by Joachim Murat, Napoleon's brother in law, that was crowned as King of Naples. The creation of the Kingdom of Italy was the result of efforts by Italian nationalists and monarchists loyal to Austria's House of Savoy to establish a united state encompassing the entire Italian Peninsula. In the context of the 1848 liberal revolutions that swept through Europe, the Wars of Italian Independence were a series of three wars fought between independent Italian kingdoms and the Austrian Empire between 1848 and 1866, ending with the conquest of the entire Italian peninsula. In 1870, when Prussia defeated the Second French Empire during the Franco-Prussian War, Italian forces took advantage of the repatriation of the French troops from Rome and overwhelmed what remained of the Papal States. Rome was captured on September 20, 1870, and subsequently became the capital of Italy. 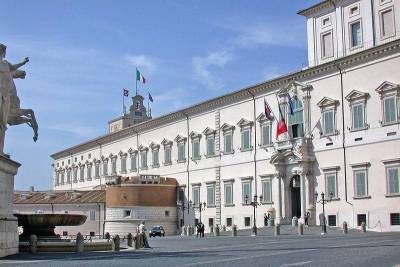 The government of the unified new Kingdom of Italy took place in a framework of parliamentary constitutional monarchy dominated by liberal forces. In 1913, male universal suffrage was adopted. As Northern Italy quickly industrialized, the South and rural areas of North remained underdeveloped and overpopulated, forcing millions of people to migrate to the emerging Industrial Triangle (Milan-Turin-Genoa) or abroad, while the Italian Socialist Party constantly increased in strength, challenging the traditional liberal and conservative establishment. The highest point of Italian emigration was reached in 1913, when 872,598 persons left Italy. Starting from the last two decades of the 19th century, Italy developed into a colonial power by forcing Somalia, Eritrea and later Libya and the Dodecanese under its rule. Italy suffered enormous losses in World War I—more than 650,000 Italian soldiers died and the economy collapsed—but managed to come out on the winning side. The turbulence that followed the devastation of World War I, inspired by the Russian Revolution, led to turmoil and anarchy. The liberal establishment, fearing a socialist revolution, started to endorse the small National Fascist Party, led by Benito Mussolini. Over the next few years, Mussolini banned all political parties and curtailed personal liberties, thus forming a dictatorship. In 1935, Mussolini invaded Ethiopia, resulting in an international alienation and leading to Italy's withdrawal from the League of Nations. Consequently, Italy allied with Nazi Germany and Empire of Japan and strongly supported Franco in the Spanish civil war. In 1939, Italy occupied Albania and entered World War II in 1940 on the side of the Axis powers. Mussolini invaded Greece in October 1940 but was forced to accept a humiliating stalemate after a few months. At the same time, Italy, after initially conquering British Somalia and parts of Egypt, saw an allied counter-attack lead to the loss of all Italian possessions in the Horn of Africa and in North Africa. Italy was then invaded by the Allies in July 1943, leading to the collapse of the Fascist regime and the fall of Mussolini. In September 1943, Italy surrendered. The country remained a battlefield for the rest of the war, as the allies were moving up from the south as the north was the base for loyalist Italian fascist and German Nazi forces, fought also by the Italian resistance movement. The hostilities ended on 2 May 1945. Nearly half a million Italians (including civilians) died in the conflict, and the Italian economy had been all but destroyed. Italy was in chaos at the end of the war, with numerous resistance groups settling old scores, with weekly killings and assassinations. The political system was totally reorganized. Fascism was suppressed, and new parties emerged . Italy became a republic after a referendum ending the monarchy was held on June 2 1946, a day celebrated since as Republic Day. This was also the first time that Italian women were entitled to vote. A new constitution was written, and the Italian general election of 1948 set up the framework of government for the following 40 years: a blocked parliamentary system, with the Democrazia Cristiana always in government and the Italian Communist Party always in opposition; cabinets were very short (usually less than one year) and reshuffles involved the same politicians in different combinations. Under the Paris Peace Treaties of 1947, the eastern border area was lost to Yugoslavia, and, later, the free territory of Trieste was divided between the two states. In 1949 Italy became a member of NATO. The Marshall Plan helped to revive the Italian economy which, until the late 1960s, enjoyed a period of sustained economic growth commonly called the "Economic Miracle". In 1957, Italy was a founding member of the European Economic Community (EEC), which became the European Union (EU) in 1993. From the late 1960s until the early 1980s, the country experienced the Years of Lead, a period characterized by economic crisis (especially after the 1973 oil crisis), widespread social conflicts and terrorist massacres carried out by opposing extremist groups, with the probable involvement of US intelligence. In the early 1990s, Italy faced significant challenges, as voters, disenchanted with political paralysis, massive government debt and the extensive corruption system (known as Tangentopoli) uncovered by the "Clean Hands" investigation, demanded for radical reforms. The scandals involved all major parties, but especially those in the government coalition. Even today, persistent problems include illegal immigration, organized crime, corruption, high unemployment, sluggish economic growth, and the low incomes and technical standards of southern Italy compared with the prosperous north. Today, Italy plays a prominent role in European and global military, cultural and diplomatic affairs. The country's European political, social and economic influence make it a major regional power. It is a founding member of what is now the European Union and part of the Eurozone. Italy is also a member of the G8 and G20. Italy has the sixth highest government budget in the world. It is also a member state of the Organisation for Economic Co-operation and Development, the World Trade Organization, the Council of Europe, the Western European Union and the United Nations. Italy has the world's ninth-largest defence budget and shares NATO's nuclear weapons. Italy ranks as the world's 23rd most-developed country and its Quality-of-life index ranks in the top ten in the world. Italy enjoys a very high standard of living. In 2010, Italy was the eighth-largest economy in the world and the fourth-largest in Europe in terms of nominal GDP, and the tenth-largest economy in the world and fifth-largest in Europe in terms of purchasing power parity (PPP) GDP has a diversified industrial economy. Italy owns the world's 4th largest gold reserve. The country is also well-known for its influential and innovative business economic sector, an industrious and competitive agricultural sector (Italy is the world's largest wine producer), and for its creative and high-quality automobile, industrial, appliance and fashion design. With 60.6 million inhabitants, it is the fifth most populous country in Europe, and the 23rd most populous in the world. At the start of 2010 there were 4.28 million foreign nationals resident in Italy and registered with the authorities. This amounted to 7.1% of the country’s population. As of 2009, the foreign born population origin of Italy was subdivided as follows: Europe (53.5%), Africa (22.3%), Asia (15.8%), the Americas (8.1%) and Oceania (0.06%); 87.3% of immigrants live in the northern and central parts of the country (the most economically developed areas), while only 12.8% live in the southern half of the peninsula. Some 997,000 Romanians, around 10% of them being Romanis, are officially registered as living in Italy, replacing Albanians and Moroccans as the largest ethnic minority group. Italy's official language is Italian. 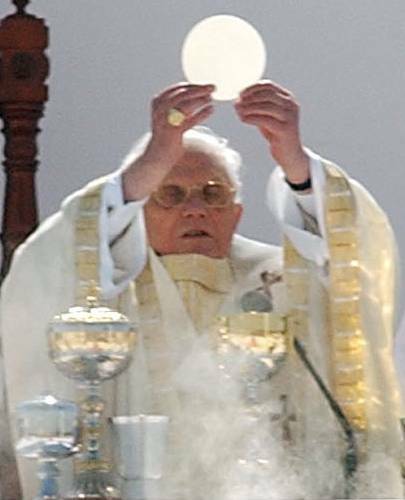 Roman Catholicism is by far the largest religion in the country, although the Catholic Church is no longer officially the state religion. Catholics make up 87.8% of the population, with 36.8% considering themselves practising Catholics and 30.8% attending Church every Sunday. However, there are also some important religious minorities. In 2006, Protestants made up 2.1% of Italy's population, and members of Eastern Orthodox churches comprised 1.2%. Other Christian groups in Italy include more than 700,000 Eastern Orthodox Christians including 180,000 Greek Orthodox, 550,000 Pentecostals and Evangelists (0.8%), of whom 400,000 are members of the Assemblies of God, 235,685 Jehovah's Witnesses (0.4%), 30,000 Waldensians, 25,000 Seventh-day Adventists, 22,000 Mormons, 15,000 Baptists (plus some 5,000 Free Baptists), 7,000 Lutherans, 4,000 Methodists (affiliated with the Waldensian Church). The longest-established religious faith in Italy is Judaism, Jews having been present in Ancient Rome before the birth of Christ. Italy has seen many influential Italian-Jews, such as Luigi Luzzatti, who took office in 1910, Ernesto Nathan served as mayor of Rome from 1907 to 1913 and Shabbethai Donnolo. During the Holocaust, Italy took in many Jewish refugees from Nazi Germany. However, with the creation of the Nazi-backed puppet Italian Social Republic, about 15% of Italy's Jews were killed, despite the Fascist government's refusal to deport Jews to Nazi death camps. This, together with the emigration that preceded and followed the Second World War, has left only a small community of around 45,000 Jews in Italy today. Due to immigration from around the world, there has been an increase in non-Christian faiths. In 2009, there were 1.0 million Muslims in Italy forming 1.6 percent of population. There are more than 200,000 followers of faith originating in the Indian subcontinent woth some 70,000 Sikhs with 22 gurdwaras across the country, 70,000 Hindus, and 50,000 Buddhists. There are an estimated some 4,900 Bahá'ís in Italy in 2005. From antiquity until the 16th century, Italy was at the centre of Western culture, fulcrum or origin of the Etruscan civilization, Ancient Rome, the Roman Catholic Church, Humanism and the Renaissance. During this time, Italy produced some of the most notable painters, sculptors, poets, musicians, mathematicians and architects in history. Italy continued its leading cultural role through the Baroque period and into the Romantic period, when its dominance in painting and sculpture diminished and it reestablished a strong presence in music. Italian artists have been quite influential in the 20th century. They were the primary exponents of Modernism in the 1920s. Following World War II, Italian neorealism became an important force in motion pictures, and by the 1960s, Italy had established itself as one of a handful of great film cultures. Italian design shaped the look of the post-war world, and today Italy is arguably the international leader in fashion and design. Both the internal and external facets of Western Civilization were born on the Italian peninsula, whether one looks at the history of the Christian faith, civil institutions (such as the Senate), philosophy, law, art, science, or social customs and culture. Italy did not exist as a state until the country's unification in 1861. Due to this comparatively late unification, and the historical autonomy of the regions that comprise the Italian Peninsula, many traditions and customs that are now recognized as distinctly Italian can be identified by their regions of origin. Despite the political and social distinction of these regions, Italy's contributions to the cultural and historical heritage of Europe and the world remain immense. Italy has had a broad cultural influence worldwide, also because numerous Italians emigrated to other countries during the Italian diaspora. Tourism in Italy is one of the fastest growing and profitable sectors of the national economy: with 43.7 million international tourist arrivals, Italy is the 4th highest tourism earner and the 5th most visited country in the world, behind France (76.0 million), Spain (55.6 million), United States (49.4 million), and China (46.8). People mainly come to Italy for its rich art, cuisine, history, fashion and culture, its beautiful coastline and beaches, its mountains, and priceless ancient monuments, especially those from the Greek civilization and Roman civilization. Italy is home to the greatest number of UNESCO World Heritage Sites (47) to date, more than any other country, and has rich collections of world art, culture and literature from many different periods. Italy has, overall, an estimated 100,000 monuments of any sort (museums, palaces, buildings, statues, churches, art galleries, villas, fountains, historic houses and archaeological remains). Rome is one of the most visited cities in the world, with an average of 7-10 million tourists a year. The Colosseum (4 million tourists) and the Vatican Museums (4.2 million tourists) are the 39th and 37th (respectively) most visited places in the world, according to a recent study. Other main sights in the city include the Pantheon, the Trevi Fountain, Piazza Navona, St Peter's Basilica, the Roman Forum, Castel Sant'Angelo, the Basilica of St. John Lateran, the Spanish Steps, Villa Borghese park, Piazza del Popolo, the Trastevere and the Janiculum. In 2006, Rome was visited by 6.03 million international tourists, reaching the 8th place in the ranking of the world's 150 most visited cities. Apart from Rome, Milan, Venice and Florence are the top destinations for tourism in Italy. Other major tourist locations include Turin, Naples, Padua, Bologna, Perugia, Genoa, Sicily, Sardinia, Salento and Cinque Terre. Two factors in each of these locations are history and geography. The Roman Empire, middle ages, and renaissance have left many cultural artifacts for the Italian tourist industry to use. Many northern cities are also able to use the Alps as an attraction for winter sports, while coastal southern cities have the Mediterranean Sea to draw tourists looking for sun. Italy has some of the world's most ancient tourist resorts, dating back to the time of the Roman Republic, when destinations such as Pompeii, Naples, Ischia, Capri and especially Baiae were popular with the rich of Roman society. Pompeii is currently Italy's third the world's 48th most visited tourist destination, with over 2.5 million tourists a year. Ingredients and dishes vary by region. Each area has its own regional cuisine and specialties. The differences can come from a bordering country (such as France or Austria), whether a region is close to the sea or the mountains, and economics. Many dishes that were once regional, however, have proliferated with variations throughout the country. Italian cuisine is also seasonal with priority placed on the use of fresh produce. Cheese and wine are a major part of the cuisine, with many variations. 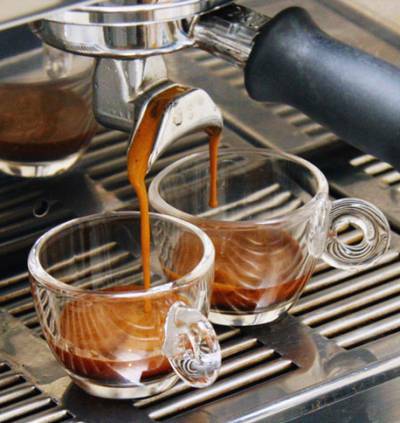 Coffee, specifically espresso, has become important in Italian cuisine. 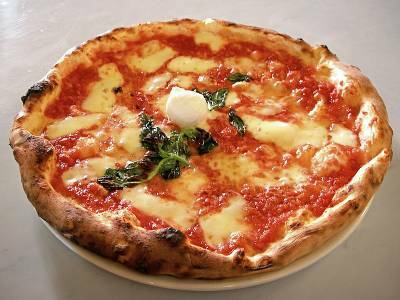 Traditionally, meals in Italy usually contain 3 or 4 courses. Meals are seen as a time to spend with family and friends instead of immediate sustenance; thus, daily meals can be longer than in other cultures. During holidays, family feasts can last for hours. Today, the traditional Italian menu is kept mainly for special events (such as weddings) while an everyday menu includes only the first and second course, the side dish and coffee. A notable aspect of Italian meals is that the primo or first course, is usually a more filling dish such as risotto or pasta. Modern Italian cuisine also includes single courses (all-in-one courses), providing carbohydrates and proteins at the same time (e.g. pasta and legumes). Italian cuisine has a great variety of different ingredients which are commonly used, ranging from fruits, vegetables, sauces, meats, etc. In Northern Italy, fish (such as cod, or baccalà), potatoes, rice, maize, corn, sausages, pork, and different types of cheeses are the most common ingredients (tomato is virtually absent in most Northern Italian cuisines). Ligurian ingredients are quite different, and include several types of fish and seafood dishes; basil (found in pesto), nuts and olive oil are very common. In Emilia-Romagna, common ingredients include ham (prosciutto), sausage (cotechino), different sorts of salami, truffles, grana, Parmigiano-Reggiano, and tomatoes (Bolognese sauce or ragù). In Central Italy, traditionally they use ingredients such as tomatoes, all kinds of meat (except for horse meat), fish, and pecorino cheese. Finally, in Southern Italy, tomatoes—fresh or cooked into tomato sauce—peppers, olives and olive oil, garlic, artichokes, oranges, ricotta cheese, eggplants, zucchini, certain types of fish (anchovies, sardines and tuna), and capers are important components to the local cuisine. Italian cuisine is also well known (and well regarded) for its use of a diverse variety of pasta. Pasta include noodles in various lengths, widths and shapes. Distinguished on shapes they are named: penne, maccheroni, spaghetti, linguine, fusilli, lasagne, tagliatelle and many more varieties that are filled with other ingredients like ravioli and tortellini. The word pasta is also used to refer to dishes in which pasta products are a primary ingredient. It is usually served with sauce. Pasta is eaten in Italy only as first course or nowadays as piatto unico. From creamy gelato to richly delicious cakes, Italy produces some of the world's most beloved desserts. Crafted with simple but decadent ingredients, these treats are truly irresistible. Italian desserts range in flavor from slightly bitter to sweet but usually not overwhelmingly sweet, and are often best served with a wine. A few popular Italian desserts are: tiramisu, cannoli, Neapolitan ice cream, Italian ice, marrons glacés, panna cotta, zabaione, and zuppa Inglese. Espresso is usually served in a demitasse cup. Caffè macchiato is topped with a bit of steamed milk or foam; ristretto is made with less water, and is stronger; cappuccino is mixed or topped with steamed, mostly frothy, milk. It is generally considered a morning beverage; caffelatte is equal parts espresso and steamed milk, similar to café au lait, and is typically served in a large cup. Latte macchiato (spotted milk) is a glass of warm milk with a bit of coffee and Caffè corretto is "corrected" with a few drops of an alcoholic beverage. The bicerin is also an Italian coffee, from Turin. It is a mixture of cappucino and traditional hot chocolate, as it consists of a mix of coffee and drinking chocolate, and with a small addition of milk. It is quite thick, and often whipped cream/foam with chocolate powder and sugar is added on top. Italian wine is wine produced in Italy, a country which is home to some of the oldest wine-producing regions in the world. Italy is the second largest wineproducer after France. Italian wine is exported largely around the world. However, wine is extremely popular in Italy, and italians lead the world in wine consumption by volume. Grapes are grown in almost every region of the country. More than 1 million vineyards are under cultivation. Italy hosts a wide variety of different Italian beers, which are usually pale lager. Beer is not as popular and widespread as wine (even though this is changing, and beer is becoming more and more popular). The most notable Italian breweries are Peroni and Moretti, even though there are several other popular ones. Beer in Italy is often drunk in pizzerias, and South Tyrol, (former part of Austria, country notable for its beer) is the area where beer is made and consumed the most. There are also several other popular alcoholic drinks in Italy. Limoncello, a traditional lemon liquer from Sicily and Southern Italy in general, is one of the most common. Made out of lemon, it is extremely strong drink which is usually consumed in very small proportions, in small glasses or cups. Amaro Sicilianos are common Sicilian digestifs made out of herbs which are usually drunk after heavy meals. Grappa instead is the typical alcoholic drink of northern Italy. The three most notable and recognizable Italian aperitifs are Martini, Vermouth and Campari. A sparkling drink which is becoming internationally popular as a less expensive substitute of French champagne is prosecco.